What made this program such a success, is that ClarkDietrich had key management personnel from many of their departments attend the program. 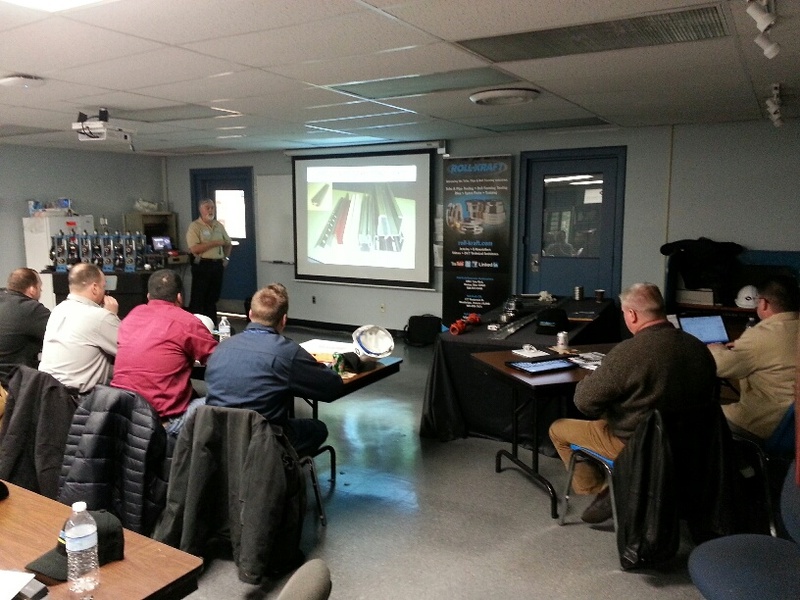 Roll-Kraft recently conducted a corporate in-house roll form training seminar for ClarkDietrich Building Systems, one of the major suppliers of stud and track for the drywall industry. Frank Gomez, Operations Trainer and Procedure Manager, as well as Mike Collins, Operations Director, and Jimmy Rickett, Director of Corporate Engineering for ClarkDietrich, coordinated the training event with Robert A. Sladky, Vice President of Tube Mill Engineering of Roll-Kraft, bringing in attendees from several of their plants across the nation to their Warren, Ohio, facility. Robert Sladky, as well as Dave Rostocil, Director of Product Applications for Roll-Kraft, were co-speakers at the event, covering the important areas of mill integrity, alignment, setup, and trouble shooting for the roll form applications of ClarkDietrich. The attendees were from a wide variety of experience levels, from the very new hires, to seasoned veterans of 20+ years. The seminar attendees each received guide books that followed the PowerPoint presentation step-by-step. The in-house seminar presentation included action and procedural videos and was also supported by a real-life operating roll form display that actually produces parts. This allowed the instructors to illustrate the effect of an improper adjustment that would result in producing a problem part from the roll former. Roll-Kraft’s combination of resources and presentation materials offers one of the most comprehensive training programs known to the industry. Visit Roll-Kraft’s website for more information on the in-house tube and pipe training and roll forming training programs available and held on-site at a customer’s location. 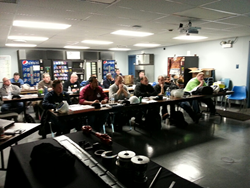 Roll-Kraft’s commitment to excellence in the tube and pipe and roll forming education field continues in 2015 with several planned events. This June, Roll-Kraft will head to the West Coast for its regional seminar training programs. A tube and pipe seminar will be held on June 24th and a roll forming seminar will be held on June 25th. In addition, Roll-Kraft will host its annual training seminars at its Mentor, Ohio, headquarters. The tube and pipe event will be held on August 19th and the roll forming event will be held on August 20th.